le chaudron de vulcain – March 09, 2017. EN. Bogoslof , Copahue , Bárðarbunga , Bezymianny . March 09, 2017. EN. Bogoslof , Copahue , Bárðarbunga , Bezymianny . Home / Alaska / March 09, 2017. EN. Bogoslof , Copahue , Bárðarbunga , Bezymianny . 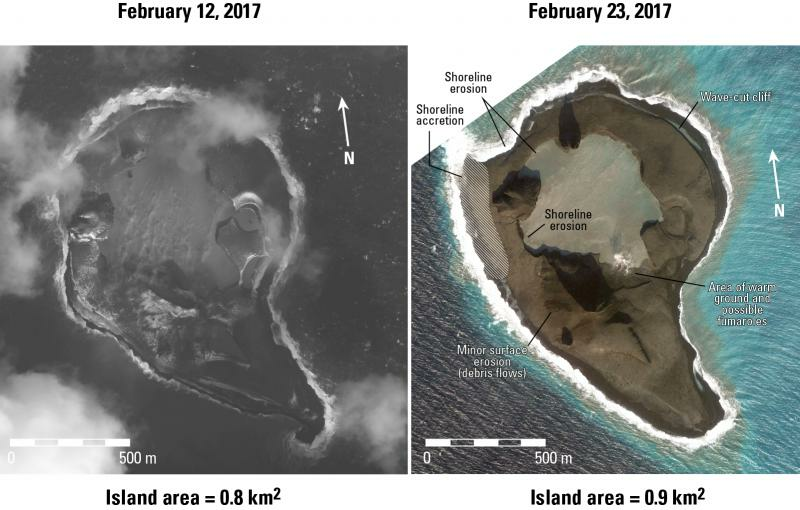 Worldview-2 satellite images of Bogoslof Island, February 12 and 23, 2017. Between February 12-23, there were 5 eruptive events, but it is difficult to tell how much pyroclastic material may have been added to the island as a result of this activity. The main changes evident in the February 23 image are related to wave erosion of the outer coastline. Another feature not clearly evident in satellite images prior to February 23 is an area of low-level point source steaming and possible fumaroles in the low area near the southeastern sector of the enclosed lake. The differences in island area are probably not significant and are likely related to tide level. ©2017 Digital Globe NextView License. Base images Worldview-2, 2/12/2017 and 2/23/17. significant explosive eruption that began at Bogoslof volcano at 7:36 UTC on March 8 (10:36 pm AKST on March 7) is continuing, as indicated in seismic, lightning, and infrasound data. The ash cloud from the eruption has been observed to 35,000 feet in satellite images and is heading east. The current Aviation Color Code is RED and Alert level is WARNING. The National Weather Service is issuing a Special Weather Statement for trace amounts (less than 1 mm) of ashfall on Unalaska Island including the community of Dutch Harbor/Unalaska. 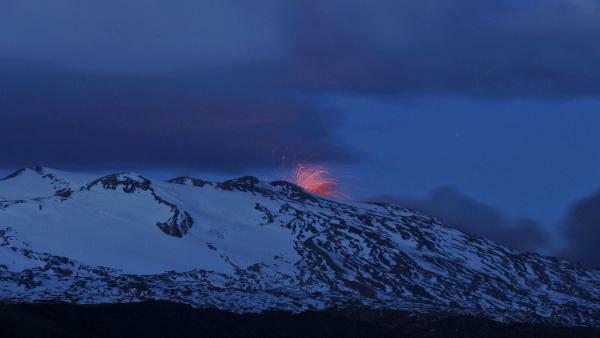 The explosive eruption that began at 10:36 pm AKST on March 7 (7:36 UTC on March 8) resulted in approximately 3 hours of significant ash emissions. The intensity of activity as observed in seismic, infrasound and lightning data declined around 1:30 am AKST (10:30 UTC). A large volcanic ash cloud is visible in satellite data and is moving towards the east at an altitude of 35,000 feet above sea level. The volcano remains at a heightened state of unrest and a return to more vigorous eruptive activity could occur at any time. The National Weather Service (NWS) has issued a Special Weather Statement for trace amounts (less than 1 mm) of ashfall on Unalaska Island including the community of Dutch Harbor/Unalaska based on ash fallout modeling by the AVO. NWS has also issued a Marine Advisory for volcanic ashfall on coastal waters near Bogoslof. A SIGMET warning for aviation is in effect for the volcanic cloud at an altitude of 35,000 ft above sea level. AVO continues to evaluate its monitoring data sources and will provide updates as warranted. The Aviation Color Code remains at RED and the Alert Level remains at WARNING. During this period, twenty-two (22) seismic events, of which eighteen (18) were classified as volcano-tectonic (VT) associated with rock fracturing processes were recorded. Similarly, three events associated with the dynamics of fluids within the volcano, identified as long-period earthquakes (LP), and one (1) earthquake identified as a very long-period earthquake (VLP Its acronym in English) were recorded. With regard to seismic activity of VT type, the local magnitude (ML) are less than or equal to M1,0. The highest energy event was located north-northwest (NNW), 5.4 km from Crater El Agrio with a depth of 1 km. For LP events, they showed reduced displacement values ​​(RDC) of less than 2 cm2. These events were located around the crater. During the recorded period, a constant, low – amplitude tremor signal, mainly associated with emissions of gas from the EL Agrio crater, was lower than the previous month ‘s measure. This signal showed oscillating RDC values ​​around 0.5 cm2. The dominant frequencies are concentrated in a bandwidth ranging from 1.2 to 2.1 Hz. From the data obtained from four (4) GNSS stations, which measure the deformation of the volcano surface, a small displacement is observed, with the highest rate not exceeding 0.3 cm / Horizontal components and 0.4 cm / month in the vertical. In turn, the control lines were also stable. 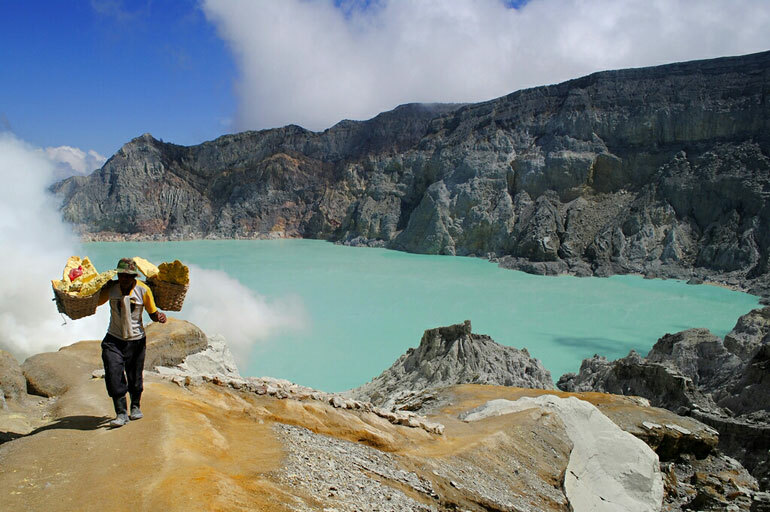 Sulfur dioxide (SO2) emissions recorded by the Triplets – Differential Spectrometric Absorption (DOAS) equipment located 5 km east-northeast (ENE) of the active crater showed average values Monthly rate of 369 ± 301T / J, and a daily maximum value of 1048 T / J reported on 20 February. S02 emissions are at a low level for this volcano. 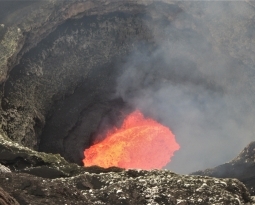 The IP cameras installed near the volcano recorded a constant degassing of the active crater (El Agrio). From 19th and 22nd February, an incandescence and an emission of particulate matter were recorded, respectively. 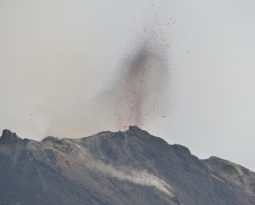 The main emission column was recorded on the 25th of this month, with a height of about 1100 m.
No emissions of sulfur dioxide into the atmosphere in the volcano sector, according to data published by the Ozone Monitoring Instrument (IMO) have been reported. 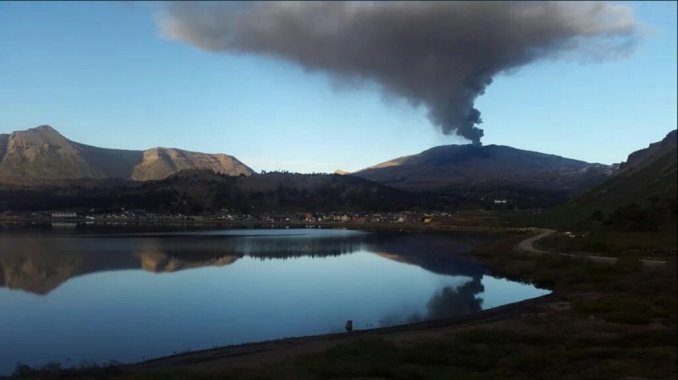 No thermal alerts associated with the area of ​​the volcano on the data processed by the Mirova system have been reported. A short lived earthquake swarm started in the southern rim of the Bárðarbunga caldera at about 03:50. Just about 10 earthquakes have been located in the swarm with three over magnitude 3. The largest earthquakes in the swarm were M4.1 and M3.9. No tremor has followed the event. Around 370 earthquakes were detected last week by the national seismic network of the Icelandic Meteorological Office, a considerably higher number than the week before when 280 earthquakes were detected. More earthquakes were detected in all areas except Mýrdalsjökull glacier than last week. The largest earthquake of the week was magnitude 4.1 in the Bárðarbunga caldera in an earthquake swarm on 1. March. Five earthquakes over M3.0 were detected in the swarm. 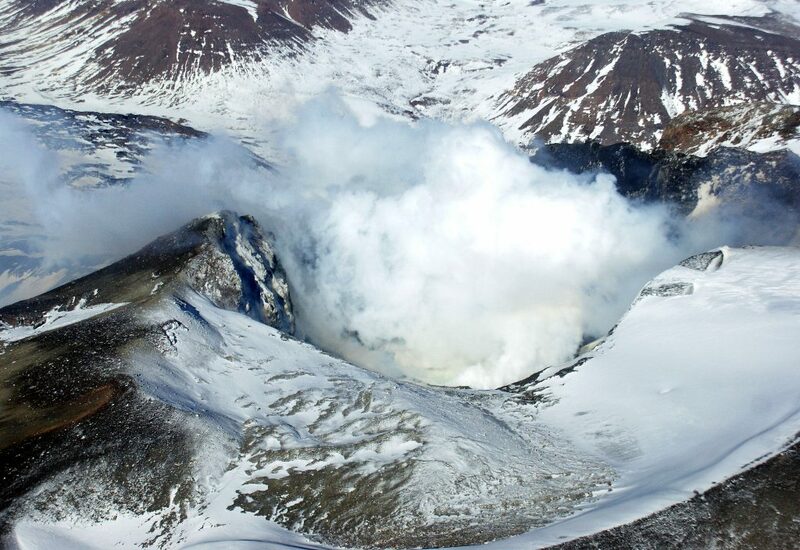 Fewer earthquakes were detected in the Katla caldera than the week before. Three small earthquakes were detected in Hekla this week. According to satellite data by KVERT, ash plume on the height about 7 km a.s.l. drift for about 112 km to the north-west from the volcano. A width of ash plume is about 14 km. Strong gas-steam activity of the volcano continues. 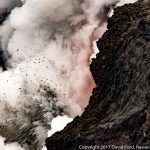 Activity of the volcano continues. 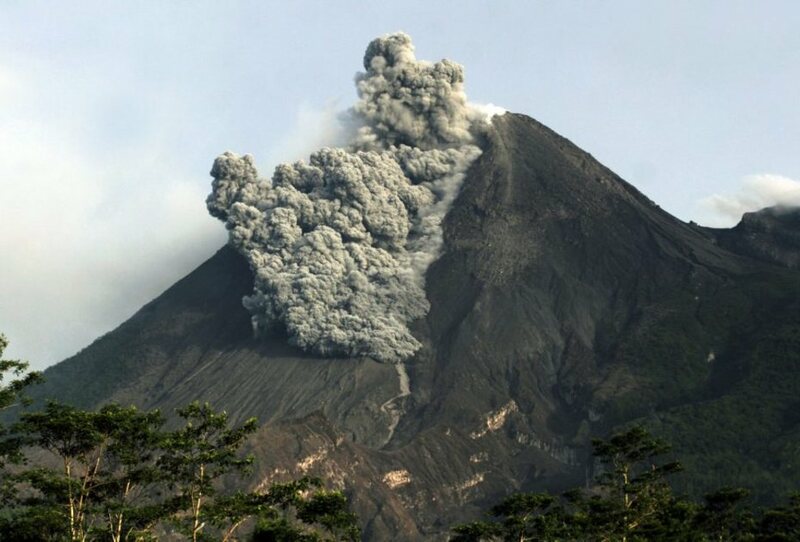 Strong ash explosions up to 49,200 ft (15 km) a.s.l. could occur at any time. Ongoing activity could affect international and low-flying aircraft. 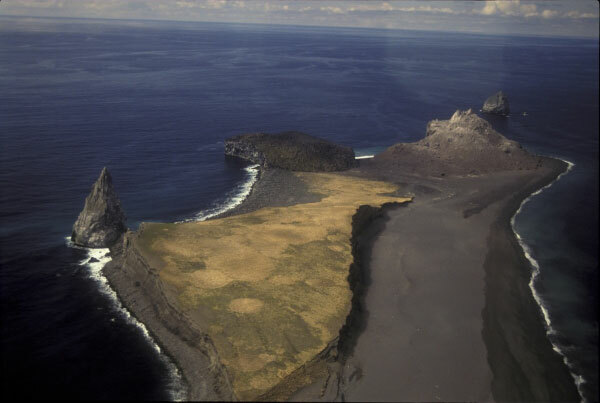 Where is the volcanic vent located on Bogoslof vocano? Is it still under the water or on the fragile island?? Under the sea, near the coast..
March 08 , 2017. Kilauea , Cleveland , Piton de la Fournaise , Popocatepetl . 09 Mars 2017. FR . Bogoslof , Copahue , Bárðarbunga , Bezymianny .